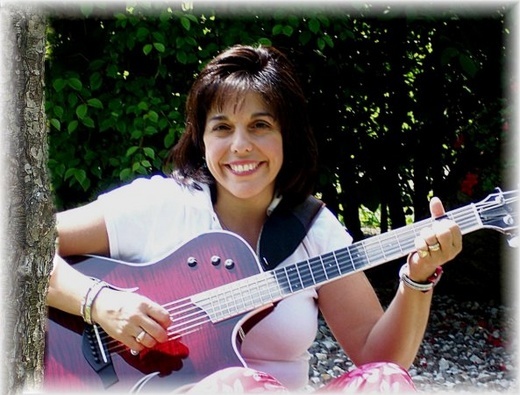 Singer/Songwriter Maria Calfa-DePaul is living proof that miracles do happen. Thirteen years ago she developed a cyst on her vocal cords which made it impossible for her to continue singing but her passion for songwriting never diminished. Thanks to successful vocal cord surgery in September 2005 and subsequent speech therapy Maria is once again able to perform. 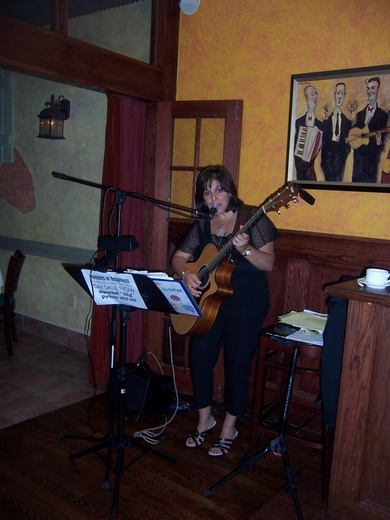 She entertains at many venues in Rockland and Westchester Counties. Her self produced CD "Moments Of Happiness" contains 10 original songs and is available at CDBABY and iTunes. 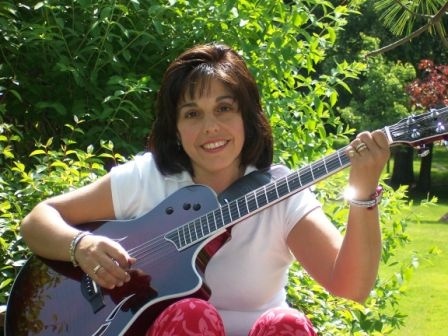 Recently, Maria was honored with having one of her songs: Silent Prayer place in the top 5 songs for the spiritual/gospel category in the International "Song of the Year Contest" a sponsor of VH1 Saves the Music. Sleepy Hollow, NY — For Maria T. Calfa-DePaul her gift arrived weeks before the holiday season, she got her singing voice back. “Being able to open my mouth and sing whenever I feel like it, is truly a blessing,” she said. “When you love something and it gets taken away the sadness is unreal. You accept it, but never forget. For eight years I thought I would never be able to sing again. Now I can and the joy is immeasurable.” Calfa-DePaul, who had surgery on her vocal folds, is a patient of Dr. Craig Zalvan’s, MD, FACS, a laryngologist - a specialist of voice and swallowing disorders, and the medical director of The Institute for Voice and Swallowing Disorders at Phelps Hospital Center in Sleepy Hollow. A resident of Suffern and a working mom, Calfa-DePaul is now writing songs and producing her first album. “Dr. Zalvan not only gave me my voice back, he gave me back my life,” said Calfa-DePaul. “We have the latest diagnostic equipment and the experience and knowledge to formulate a proper treatment regimen,” said Zalvan, a graduate of Albert Einstein College of Medicine. Zalvan is a board certified laryngologist; he completed an Otolaryngology (ear, nose & throat) residency at Manhattan Eye & Ear Hospital and Columbia Presbyterian Hospital, which included training at Memorial Sloan-Kettering Cancer Center and New York Hospital. He completed a specialty fellowship in laryngology that focused primarily on voice and swallowing disorders at St. Luke’s Roosevelt Hospital in Manhattan. The Institute’s focus is on education, correct diagnosis and proper therapy. It’s community education programs include the dangers of smoking and laryngeal/pharyngeal cancer, problems related to chronic laryngo-pharyngeal reflux disease that include cancer and esophageal cancer, and general voice and swallowing problems related to chronic LPR, include laryngeal cancer, esophageal cancer, disorders of voice abuse and overuse, professional voice disorders, and swallowing problems. 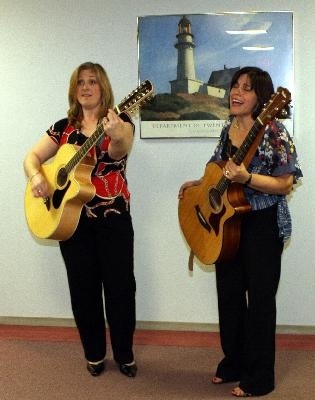 The Institute for Voice and Swallowing Disorders is a one-of-a kind resource for the greater Hudson Valley, it brings together Westchester's only laryngologist with two of Westchester's three speech language pathologists who are also classically trained singers. This team of voice and swallowing experts are experienced professionals who are certified by the American Speech-Language-Hearing Association and licensed by New York State. The Voice and Swallowing Disorders Institute is at 777 North Broadway, Suite 303. Call (914) 366-3636 for an appointment. Surgery is just part of the story at the Institute. The therapeutic aftercare is also of vital importance. For Calfa-DePaul it was the opportunity to work with Leah Ross-Kugler, a speech therapist. “I was placed under the care of an extremely talented professional who has guided me every step of the way in using my voice without damaging it,” she said. “Her expertise in the field of speech and vocal therapy has helped me achieve a vocal quality I used to only dream about. Her patience and encouragement have kept me motivated and determined. Dr. Zalvan gave me my voice back and Leah has taught me how to keep it!” Phelps Memorial Hospital is a 235-bed community hospital with 450 physicians, representing 34 different medical specialties. Phelps is the Westchester Satellite for Memorial Sloan-Kettering Cancer Center, a clinical affiliate of Mount Sinai Hospital, and the newest member of the New York Presbyterian Healthcare System. For Maria T. Calfa-DePaul her gift arrived weeks before the holiday season, she got her singing voice back. “Being able to open my mouth and sing whenever I feel like it, is truly a blessing,” she said. “When you love something and it gets taken away the sadness is unreal. You accept it, but never forget. For eight years I thought I would never be able to sing again. Now I can and the joy is immeasurable.” Calfa-DePaul, who had surgery on her vocal folds, is a patient of Dr. Craig Zalvan’s, MD, FACS, a laryngologist - a specialist of voice and swallowing disorders, and the medical director of The Institute for Voice and Swallowing Disorders at Phelps Hospital Center in Sleepy Hollow. A resident of Suffern and a working mom, Calfa-DePaul is now writing songs and producing her first album. “Dr. Zalvan not only gave me my voice back, he gave me back my life,” said Calfa-DePaul. “We have the latest diagnostic equipment and the experience and knowledge to formulate a proper treatment regimen,” said Zalvan, a graduate of Albert Einstein College of Medicine. Zalvan is a board certified laryngologist; he completed an Otolaryngology (ear, nose & throat) residency at Manhattan Eye & Ear Hospital and Columbia Presbyterian Hospital, which included training at Memorial Sloan-Kettering Cancer Center and New York Hospital. He completed a specialty fellowship in laryngology that focused primarily on voice and swallowing disorders at St. Luke’s Roosevelt Hospital in Manhattan. The Institute’s focus is on education, correct diagnosis and proper therapy. It’s community education programs include the dangers of smoking and laryngeal/pharyngeal cancer, problems related to chronic laryngo-pharyngeal reflux disease that include cancer and esophageal cancer, and general voice and swallowing problems related to chronic LPR, include laryngeal cancer, esophageal cancer, disorders of voice abuse and overuse, professional voice disorders, and swallowing problems. 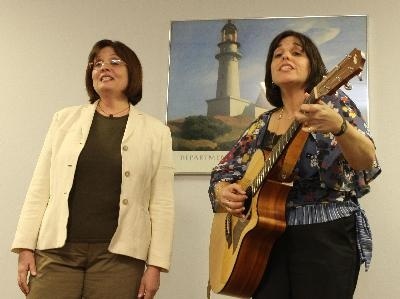 The Institute for Voice and Swallowing Disorders is a one-of-a kind resource for the greater Hudson Valley, it brings together Westchester's only laryngologist with two of Westchester's three speech language pathologists who are also classically trained singers. This team of voice and swallowing experts are experienced professionals who are certified by the American Speech-Language-Hearing Association and licensed by New York State. The Voice and Swallowing Disorders Institute is at 777 North Broadway, Suite 303. Call (914) 366-3636 for an appointment. Surgery is just part of the story at the Institute. The therapeutic aftercare is also of vital importance. 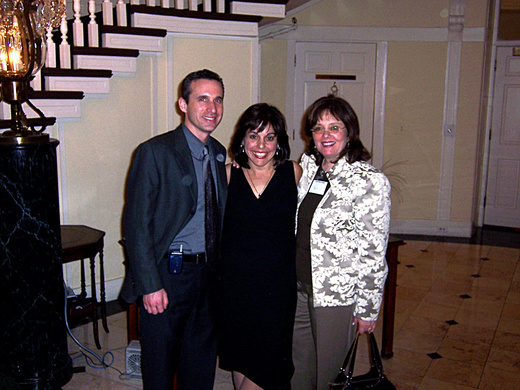 For Calfa-DePaul it was the opportunity to work with Leah Ross-Kugler, a speech therapist. “I was placed under the care of an extremely talented professional who has guided me every step of the way in using my voice without damaging it,” she said. “Her expertise in the field of speech and vocal therapy has helped me achieve a vocal quality I used to only dream about. Her patience and encouragement have kept me motivated and determined. Dr. Zalvan gave me my voice back and Leah has taught me how to keep it!” Phelps Memorial Hospital is a 235-bed community hospital with 450 physicians, representing 34 different medical specialties. Phelps is the Westchester Satellite for Memorial Sloan-Kettering Cancer Center, a clinical affiliate of Mount Sinai Hospital, and the newest member of the New York Presbyterian Healthcare System. 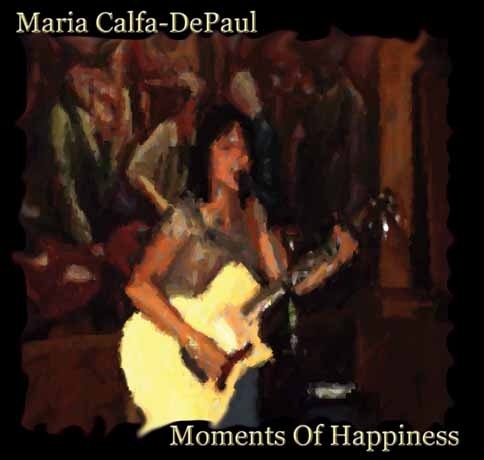 CD Review: Maria Calfa-DePaul-Moments Of Happiness by http://christianrockersonline. The Medical Situation: Woman loses her voice Doctor: Laryngologist Craig Zalvan Patient: Maria Calfa-DePaul Maria Calfa-DePaul loved to sing—in the shower, to her two sons before bedtime, to residents of the nursing home where she worked part-time as a “wandering minstrel.” But in 1997, she started to lose her voice. In the ensuing years, she visited two different physicians, but neither was able to help her. “They would suggest surgery, but when I asked them if I would be able to sing afterward, they couldn’t guarantee it,” she says. By the summer of last year, Calfa-DePaul could barely speak, let alone sing. “It kept getting worse. I could reach only low tones. If I tried a high note, all there was was air. I used to worry that if I was ever attacked, I wouldn’t be able to scream.” Her son’s pediatrician suggested she see laryngologist Dr. Craig Zalvan, one of only about 50 doctors nationwide who specialize in voice and swallowing disorders. To determine what was wrong with Calfa-DePaul, Dr. Zalvan inserted down her throat a scope with a digital camera (a laryngeal videostroboscopy), which sent images of her vocal cords to a computer screen. “I could see exactly what was wrong,” Dr. Zalvan says. “I could see a cyst on her vocal cords. 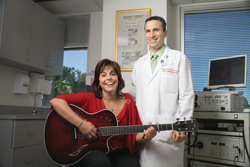 I knew right away that this was a surgical issue.” Again, Calfa-DePaul wanted to know, would she be able to sing again? “He told me I had to follow his directions exactly to ensure that I would,” Calfa-DePaul says. She was told to cut out caffeine, stop snacking before bedtime, and take Nexium to reduce acid reflux pre-surgery. Most important, she was told not to utter a single word for two to three weeks post-surgery. “When I woke up from the surgery, there was a note on my pillow: ‘Do Not Talk.’” Over the next month, Calfa-DePaul wrote on white boards to communicate. Then it was time, finally, to find out if the surgery worked. She sat nervously in Dr. Zalvan’s office. He first examined her—then asked her to hum. “He had me mimic him; it was a mid-modal range.” And to Calfa-DePaul’s delight, she could. “I got chills—I hadn’t been able to reach that note for years.” For the next five months, she underwent speech therapy with therapist Leah Ross-Kugler, who was a former opera singer. She still goes once a month. “Dr. Zalvan gave me my voice back and Leah has taught me how to keep it!” She adds: “When something you love gets taken away, the sadness is unreal. For eight years I thought I would never be able to sing again. 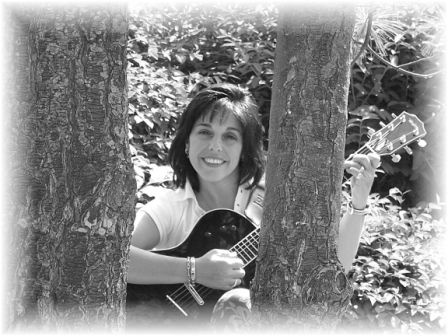 Now I can and the joy is immeasurable.” A resident of Suffern, New York, and a working mom, Calfa-DePaul has produced her first album (you can hear her songs at www.mcd-music.com), and sings in restaurants and coffee shops in the area. 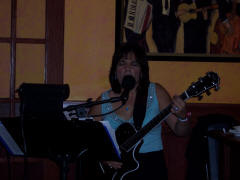 Her CD, Moments of Happiness, was released October 25. “Dr. Zalvan not only gave me my voice back, he gave me back my life,” says Calfa-DePaul.